A classic Dan Brown, and, I believe, vastly superior to The Lost Symbol. Inferno has a pretty good pace, although it somehow manages to feel less high-stakes that DaVinci Code and a truly improbably number of things happen over the course of the day. And, of course, because the protagonist is Robert Langdon we hear about his damn tweed coat and Mickey Mouse watch a ridiculous number of times, the watch even though Langdon LOSES IT before the first scene. Despite its obvious problems, I enjoyed Inferno more than Angels and Demons and The Lost Symbol. I think it was largely the literary and Italian Renaissance art themes that really made it for me. Although, I will note, that at least twice I figured out very obvious clues before our celebrated symbologist and art historian did, based on nothing more than what I remember from AP European history about 15 years ago. That was sort of ridiculous. And frustrating. No way these things should have puzzled Langdon, so I would be distracted by my frustration with him until he’d finally get it. Audio is SO the way to go, here. 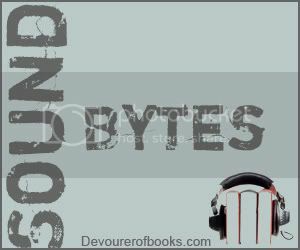 Paul Michael is a new-to-me narrator and in another book I might not be blown away by his narration, but he totally worked for me to get inside Robert Langdon’s head. He seemed so much more like how I would have imagined Robert Langdon than Tom Hanks ever did. He was also surprisingly good at giving characters different voices, a skill I didn’t expect based on something in his voice. I think the main reason why this worked really well, though, is that Brown is more of a storyteller than a wordsmith. 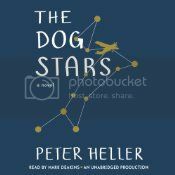 In audio I could mostly ignore the short chapters and the occasionally awkward or repetitive phrasing; I could just sit back and be washed into the story. And you know what? I ended up listening to the whole 17 hours of it in about 2 days, which for me is unprecedented, so yeah, the audio really worked here. 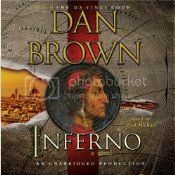 Inferno would be a really great road trip audiobook this summer. Also recommended for yard work or the gym. Learn more about this book at the publisher’s website.